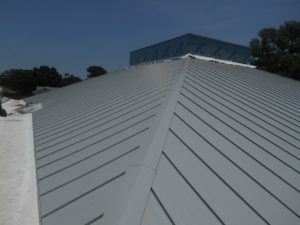 As a commercial roofing installation contractor that has served the St. Petersburg, Florida, area for more than two decades, Elite Roofing Services offers a level of experience and craftsmanship that the competition can’t match. We provide new roof installations, re-roofs, and repairs, and we can handle any size commercial building, from restaurants and small retail stores to industrial buildings, apartment complexes, and shopping malls. Our extensive list of current and past clients in the region includes Tampa Bay Water, Marriott, Burger King, Hillsborough County, Walmart, the Port of Tampa, and many more. We’re proud to be among the three percent of roofing contractors in the nation who have been designated as a certified GAF Master Elite® Roofing Contractor, which is a testament to our reputation in the local area and our commitment to providing the best service possible. We are also a former Duro-Last Contractor of the Year. Contact Elite Roofing Solutions today if you would like to discuss your options with one of our knowledgeable commercial roofing installation consultants. We are proud to serve businesses in St. Petersburg, FL, and throughout the region.